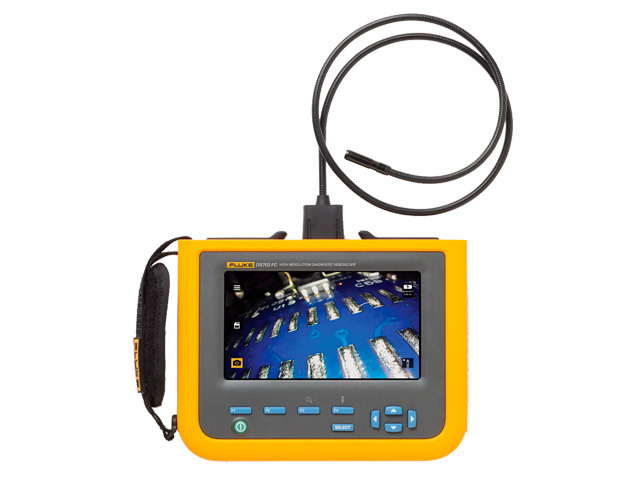 TME’s offer has been enriched by new professional inspection cameras FLK-DS701 and FLK-DS703FC featuring probes with the diameter of 8.5 mm. The new borescopes have a 7-inch high resolution display, and the Up is Up™ technology ensures level image regardless of the position of the probe. Adjustable LED lighting and digital zoom guarantee high image quality. As a standard, both models feature a probe equipped with two lenses – a front one and a side one. This eliminates the need for mounting a mirror at the end of the probe. Additionally, the FLK-DS703FC model offers HD recording. It has a touch display and a Wi-Fi interface for direct image export to mobile devices via free FLUKE Connect™ app. The offer is completed with dedicated probes with different diameters (from 3.8 mm to 9 mm) and lengths (from 1 m to 20 m).